The Rev. R. Casey Shobe, D.Min. 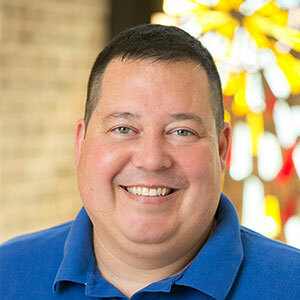 Casey became the fourth rector of Transfiguration in October 2014 after having served churches in Rhode Island and Houston. He is married to Melody Shobe, also an Episcopal priest, and they have two daughters, Isabelle and Adelaide. Casey grew up in Temple, Texas, and holds a Bachelor of Arts from the University of Texas at Austin. 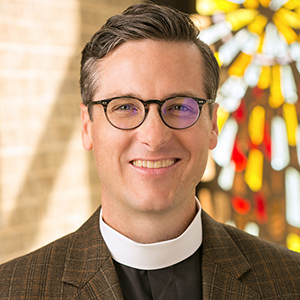 His Master of Divinity was earned at Virginia Theological Seminary and his Doctor of Ministry at the School of Theology at the University of the South (Sewanee). He loves playing golf, road cycling, hiking, brewing beer, and working in his yard. 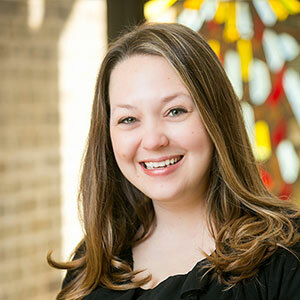 Rebecca Tankersley joined Transfiguration in May 2018 after having served several churches in the Dallas area. She is married to Scott, an attorney, and they have three sons, Trevor, Elton, and Owen. A native Bostonian, Rebecca moved to Dallas as a toddler (as quickly as she could). At age 10, she moved to Michigan where she finished primary school and earned a Bachelor of Arts and a Juris Doctorate from the University of Michigan. She then returned to Dallas (again, as quickly as she could) where she practiced law for many years before returning to school to earn a Masters of Divinity at Perkins School of Theology at SMU. Rebecca enjoys singing, cycling, hiking, traveling, cooking, and eating. A native of New Jersey, Nancy DeStefano arrived in Plano, Texas in 1990 with her husband, Ed, and three small children. Those children are all grown and married and now Nancy and Ed have six grandchildren to dote on! Nancy has been a teacher, social worker, and pastor. 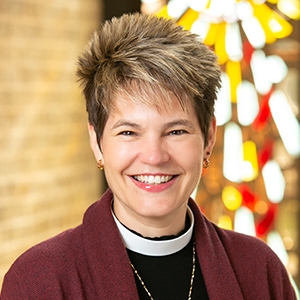 She is ordained in the United Methodist Church and served as Senior Pastor for four churches before her retirement in June 2016. 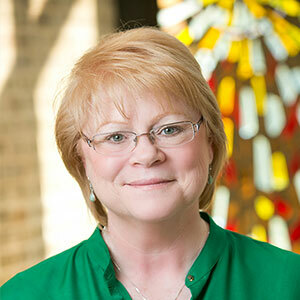 As Pastoral Assistant, Nancy oversees older adult ministries, Stephen Ministry, and is available for pastoral counseling and spiritual direction. In addition to being an ordained clergy woman, Nancy is a Licensed Clinical Social Worker, a certified Spiritual Director and a Life Coach. Ginny’s journey to the diaconate began at Transfiguration, where she was a member for nearly 10 years before ordination. 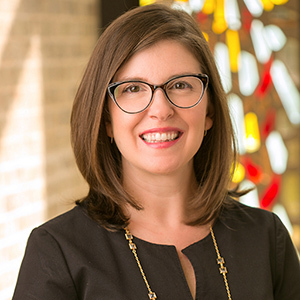 Ginny was a full-time elementary teacher until three years ago when she received her diploma in ministry from the Stanton Center for Ministry Formation in the Diocese of Dallas. She is assigned by the Bishop to both Transfiguration and Church of the Holy Faith, a congregation comprised of Bhutanese refugees that worships in the Niles Building on Sundays. She received a degree in Technical Journalism from Colorado State University with a minor in Philosophy (Comparative Religion). She earned her Masters in education at the University of Northern Colorado. Currently she tutors adult Koreans in ESL and is waiting to begin a ministry with hospice. Ginny and her husband Marc have four children and 10 grandchildren. Terry Roper started off in the UK, hence the accent, and at age 28 escaped to the USA in 1963. He came to Transfiguration in 1976, and after serving for 23 years as Rector, went to serve as Rector of Holy Trinity, Rittenhouse Square, Philadelphia for 5 years followed by 10 more years in retirement. 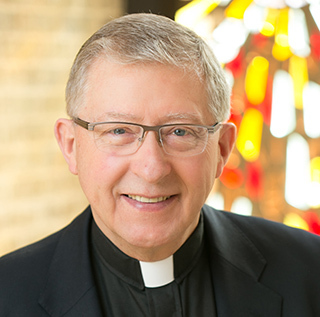 He returned to Dallas in 2013 and was invited by the Rector to assist at Transfiguration as Rector Emeritus where his principal task is to tell the Rector, “We never did it that way.” He does it very well. Sophie Lowrance joins the staff as the new Parish Administrator at Transfiguration. She grew up in Dallas, but was born overseas and just recently became a U.S. citizen. Sophie graduated from Rhodes College in Memphis, TN with a degree in History and French and worked for several years in Dallas for a family foundation managing their assets. Most recently she worked on the Investor Relations team for a private Fund of Funds in New York City, but returned to Texas to start a family. She and her husband Nash have three daughters who attend Parish Episcopal School. She spends her free time at museums, reading, or riding her bike around White Rock Lake. Mary Hall joined the staff team as our new part-time Bookkeeper in June 2017. 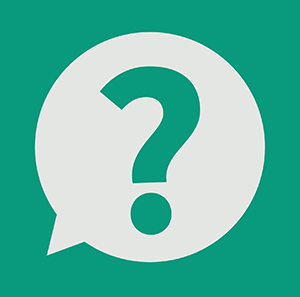 Mary has held bookkeeping/accounting positions within the banking, wholesale distribution, and securities industries. For the last 10 years she has been self-employed helping small businesses and individuals manage their day-to-day finances. Mary was born near Rochester, NY and moved to Dallas in 1987. She and her husband and have been married almost eight years. They have no children but enjoy spending time with their eight nieces and nephews between them, and spoiling their grandniece. They live in Wylie, TX next to Mary’s mother so they are close at hand to help her in her later years. Meghan joined the Transfiguration staff full-time in June of 2015, and has been a Section Leader in the Transfiguration Choir since 2008. 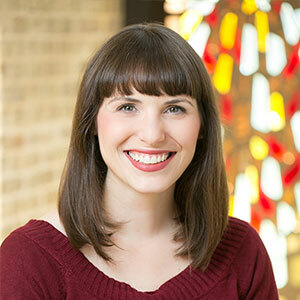 She holds Bachelors degrees in French and Vocal Performance from Oberlin College and Conservatory, as well as a Masters in Library Science from UNT, and a Masters in Voice from SMU. Meghan is married to Brian Mazur, with whom she has four children, Zach, James, Paul, and Miriam. Her hobbies include reading, bowling, and playing games as a family. Joel Martinson is a native of Oregon who has lived in the North Texas area since 1981. 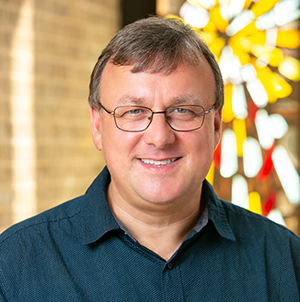 He has served as Director of Music & Organist at Transfiguration since June of 2004. 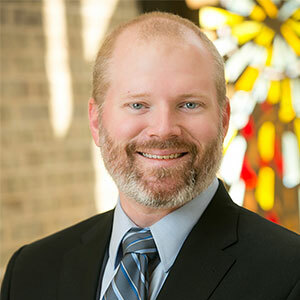 An active composer and performer, Martinson holds Bachelor and Master of Music degrees in Organ Performance with secondary areas of Church Music and Composition from The University of North Texas. Stefan Engels joins our music staff as Artist in Residence for the 2018-2019 program year. 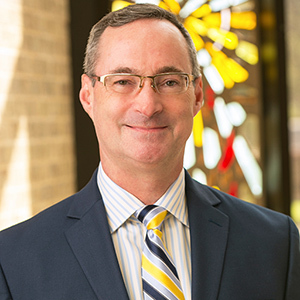 Stefan has served as Professor of Organ and Leah Fullinwider Centennial Chair in Music Performance at Southern Methodist University since 2014. He is an acclaimed international performer and teacher, and holds degrees and diplomas from music schools in Germany, SMU Meadows, and Northwestern University. At Transfiguration he plays voluntaries, accompanies the choir, and assists at the organ for Sunday services twice a month. He also serves as organist for feast days and most Transfigured Nights concert series events. Stefan lives in Dallas with his wife Leanne Seabright and their daughters Amelie, Anika, and Lilly. Christopher Ahrens has served as the Youth Choir Director and tenor section leader at Transfiguration since the summer of 2010. He is also the Director of Choral Activities for Vines High School in Plano. Mr. Ahrens received both his Bachelors in Music Education and Master of Music in Choral Conducting from Texas Christian University. As a tenor soloist and choral performer, Christopher has performed across the nation, including many engagements with the New York Pops Orchestra at the world-renowned Carnegie Hall under the direction of the late “Skitch” Henderson. 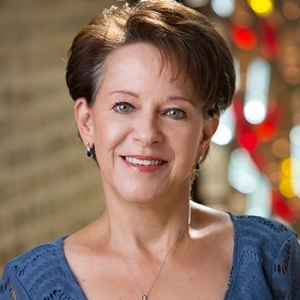 Kimberley Ahrens has been Director of Children’s Choirs at Transfiguration since June 2008. She serves children in grades 1-7 in two different children’s choirs. In addition to her duties at the Fig, Kimberley is also the choral director at Robinson Middle School in Plano, and conducts the Apprentice Chorus with the Children’s Chorus of Greater Dallas. She holds a Bachelor of Music Education from Texas Christian University. 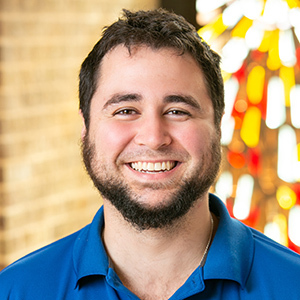 Alex Cavanaugh joined the Transfiguration staff as the Director of Youth Ministries in August 2018. 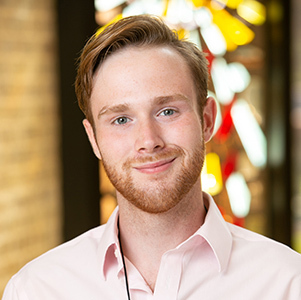 In addition to having served at Church of the Epiphany in Richardson in the past as a youth ministry volunteer, Alex has been heavily involved with Camp All Saints, including the past two summers on staff as head counselor. 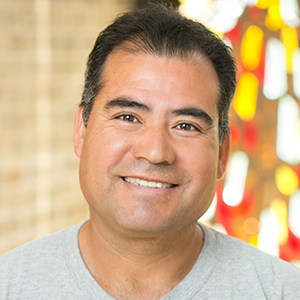 For the 2017-18 school year he served as assistant youth minister at St. Mark’s Episcopal Church in Irving. He is currently finishing his bachelor’s degree from the University of Texas at Dallas, which he expects to complete in 2019. 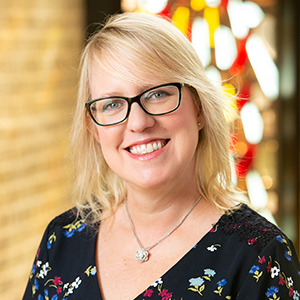 Rebecca’s specializes in the areas of communications strategy, advertising, and print and digital publishing and has worked for The Writer’s Garrett, Patheos.com, Texas Lawyer, and First Presbyterian Church of Dallas. With nearly a decade of experience in religious communications, she strives to help Transfiguration improve its branding consistency and storytelling across multiple channels. Rebecca grew up in Pennsylvania and has a B.A. in creative writing from Southern Methodist University and a Master of Theological Studies from Perkins School of Theology. Rebecca is married to Dr. Dallas Gingles, and they have two young sons, Graham and Silas. Cindy Hauser has been The Director of Children’s Ministries at Transfiguration since August 2016 after serving as Interim for five months. She is a native Texan raised in Dallas and comes from a family of nine children. She received her Bachelor of Science degree in Religious Studies from Edgewood College in Madison Wisconsin, has certificates in computer graphics and illustration from Collin College and is a certified Godly Play teacher. 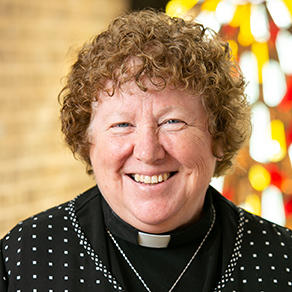 She previously served five years as a Director of Religious Education and Youth Ministry in the Roman Catholic Church. She became an Episcopalian in 2009. Movies, mystery novels, gardening, creating art and playing with her grandchildren are some of her greatest joys. 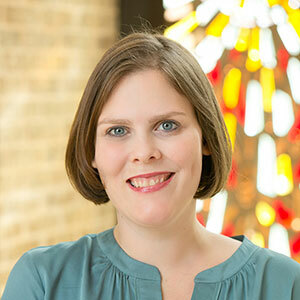 Anne Schmidt joined the Transfiguration Staff in August as the Director of Evangelism and Welcoming Ministries. She is a past Vestry member and Sr. Warden, and received our Tau Cross and Crown Award this past January. Anne also served on the Rector Search Committee that called Fr. Casey four years ago. 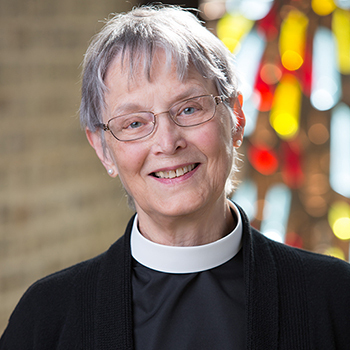 Over a year ago Anne was hired at St. Michael and All Angels to direct their newcomer ministries, and she has now “come home” to strengthen our efforts to invite, welcome, and connect new people into the life of our church. The inclusion of “evangelism” in her job title is intentional, as one of Anne’s central goals is to equip all our members to share the story of their relationship with our loving God in an invitational way. The Vestry is a board of twelve laypersons who have material responsibility for the parish. The parishioners elect four Vestry members annually to serve three-year terms.